HOW TO ORDER OUR SERVICE? 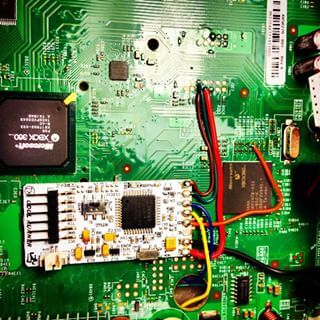 Check if your xbox is jtag or rghable at bottom of the page! Super fast turnaround time, fast service! 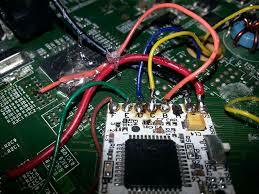 ​WE ALSO FIX BAD INSTALLS AND SOLDERING. DONT LET A AMETUER DO YOUR SERVICE, IT CAN END BADLY AND EVEN KILL YOUR XBOX! CONTACT US FOR A QOUTE! THIS IS A EXAMPLE OF OUR WORK BELOW, IT IS CLEAN,SECURE, AND WILL WORK AND STAY WORKING. WE HAVE DONE OVER 1,000+ INSTALLS! I HAVE BEEN PROVIDING OUR SERVICE FOR 5 YEARS WITH THE PROPER TOOLS TO GET THE JOB DONE RIGHT THE FIRST TIME! SLIM S are compatible ! SLIM E are Compatible ! CHECK YOUR DASHBOARD VERSION (TO SEE IF YOUR CONSOLE IS RGHABLE) IF YOUR MOTHERBOARD IS RGHABLE MAKE SURE THE DASHBOARD ALSO IS. HOPEFULLY YOUR CONSOLE WAS COMPATIBLE IF SO RETURN TO THE TOP OF THE PAGE TO ORDER, HERE ARE JUST A FEW OF OUR INSTALLS AND OTHER PHOTOS. THANK YOU FOR LOOKING AT 5KMODS LLC. FOR YOUR NEXT BIG BUILD OR CUSTOMIZATION.